How was the last year in terms of sales? We sold 52,574 units, compared to 51,955 a year ago. This year we have set a target of 70,000 units, an increase of 33 per cent. It will be a very very exciting year. Remember, there were days we even struggled to manufacture and sell 2,000 vehicles a month. Were you able to meet the demand then? No. The more we make, the more we fall behind. Despite increasing our volumes to 6,000 a month from 4,000, we could not match the demand, and our waiting period is still higher. While the demand is for 7,500 vehicles, we could manufacture only 6,000 vehicles. For instance, the waiting period for a Classic 300, one of the top-selling models, is six-eight months. What are the bottlenecks and how do you plan to address these? There are three concern areas — quality, supply-demand constraint and selling our products overseas. As for the quality issues, there were complaints about the engines, which we have fixed. There were also some concerns about the clutch failures, ridding and handling issues. Our customers’ expectations are growing, especially after the launching of the Classic 500 in November 2009. The model is bought by car owners whose expectations are much higher. We are also looking at the mis-match between the demand and supply. This was due to manufacturing constraint. We are planning to increase our capacity to 150,000 lakh next year and to 250,000 lakh in three-five years through both greenfield and brownfield expansions. The company is looking for land in Tamil Nadu and Andhra Pradesh. The suppliers’ capacity is the other challenge. Recently we have started importing batteries from Italy, which is not only price-competitive, but helps address the quality issues. The third focus area is reach, both domestic and overseas. In India, we have 180 dealers. We are planning to add three-four dealers every month for the next three years. Overseas, we are establishing our presence in the UK, France, Italy, Spain, USA and other countries. But we have to take a re-look at our sales, service and distribution strategies. The company caters to 29 countries and last year 2,500 units were sold in overseas markets.Since we understood the Indian market, now it is time to look at other developing countries and Southeast Asia. Will the capacity increase and sourcing components from outside bring down the waiting period? It is difficult to say. As I said earlier, when we increased our capacity to 6,000 from 4,000, we thought we would address the waiting period. Instead, it increased the demand further. 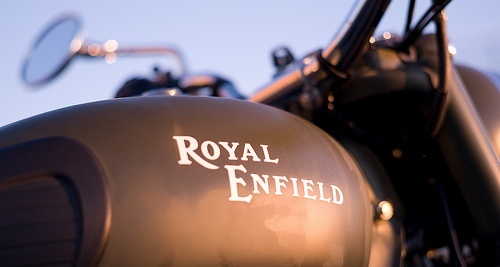 Royal Enfield sells five models (Classic 500, Classic 350, Thunderbird Twinspark, Bullet 350 UCE) in India. Which, according to you helped the brand to transform? All brands helped the company, but Classic has helped the brand grow. The company, which sold 200-300 units in November 2009, now sells 3,000 units a month. It attracts large number of car owners. 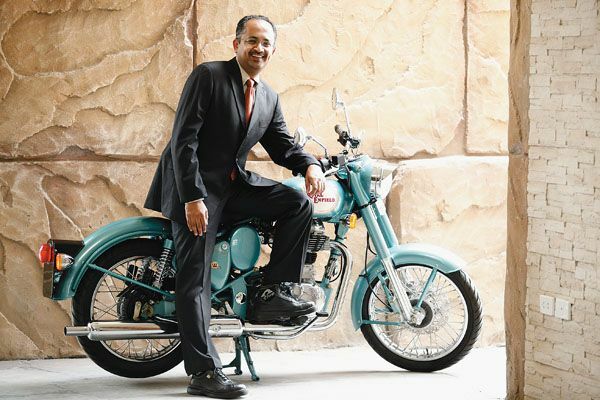 The Thunderbird Twinspark, the first model to feature Royal Enfield’s revolutionary Unit Construction Engine, has attracted large number of urban information technology professionals.